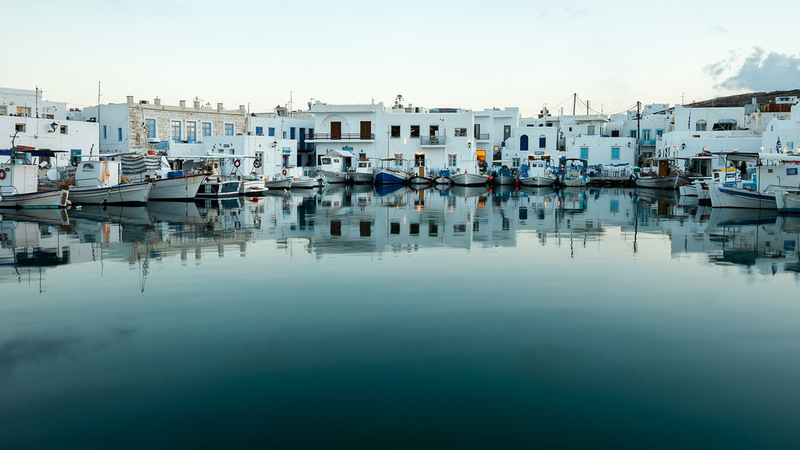 Paros, the third-largest of the Cyclades after Naxos and Andros, has developed into an important centre of tourism in recent years. 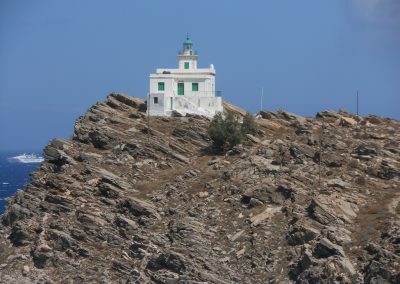 Gently rolling hills surround the centre and south-east of the island, which is predominantly agricultural and is occupied by endless vineyards, and lock within themselves the famous Parian marble. 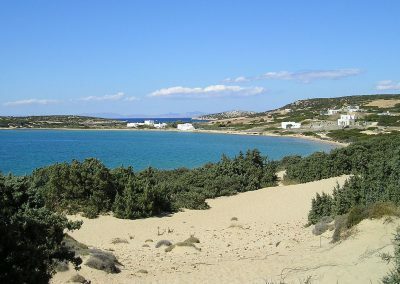 The coastline is indented, with numerous small inlets and two large bays, those of Naoussa in the north and Parikia in the west. 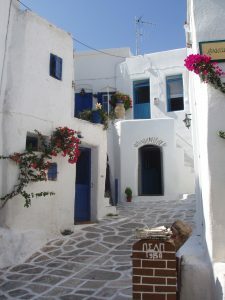 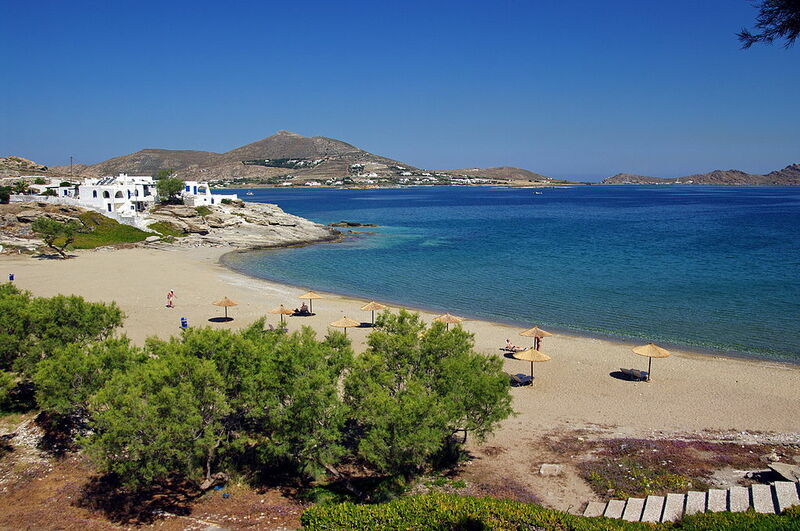 Paros has been inhabited since very ancient times, and was one of the centres of the Cycladic civilization. 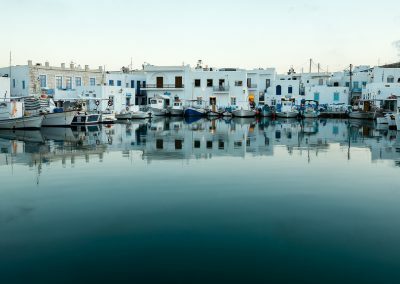 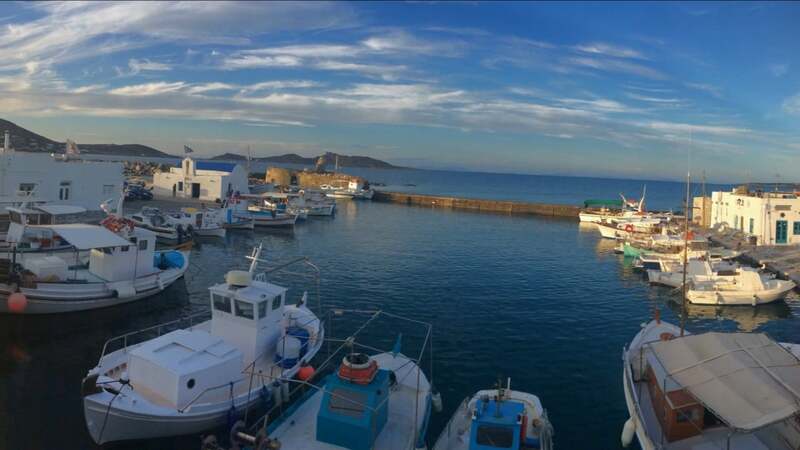 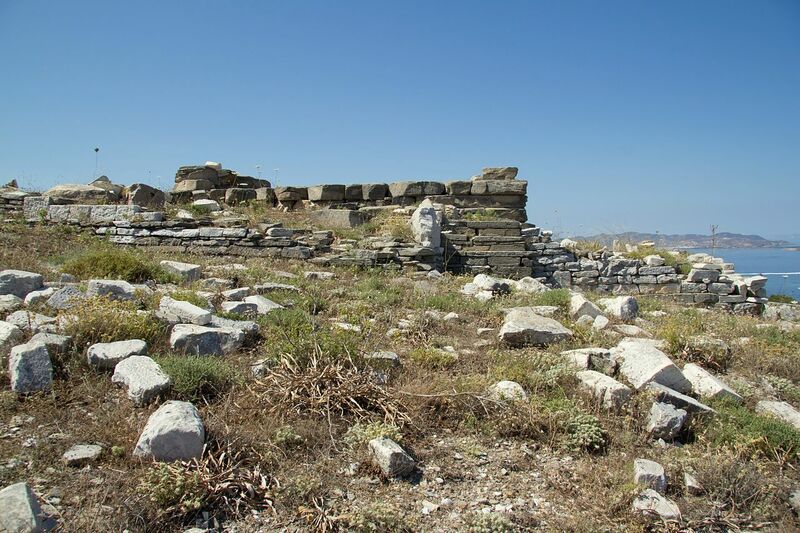 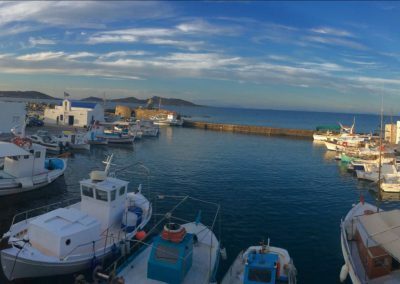 Parikia (or Paros), the island’s capital and port, stands on the site of an ancient city. 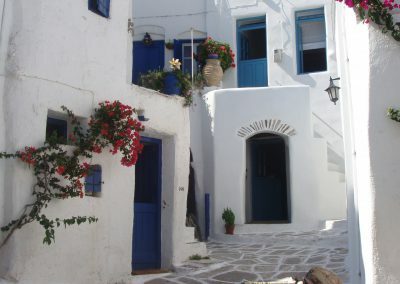 There is a picturesque and ruinous Venetian casde, and the courtyards of the houses of the town – all of them painted white – are full of pots of basil and hung with jasmine and honeysuckle. A broad paved avenue leads to the church of Ekatondapiliani or Katapoliani, one of the most important Byzantine monuments in the whole of Greece and a place that figures largely in legend. 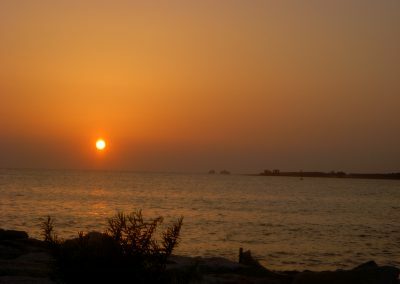 It is dedicated to the Dormition of Our Lady, and on her feast day (15 August) there is a great celebration on the sea-front with fireworks and songs of the sea. 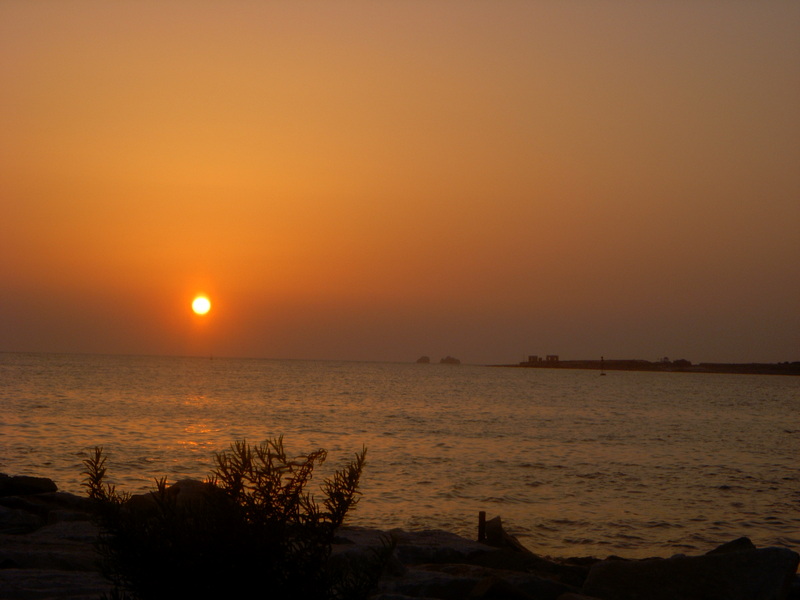 Other interesting local events take place on the island during the summer. 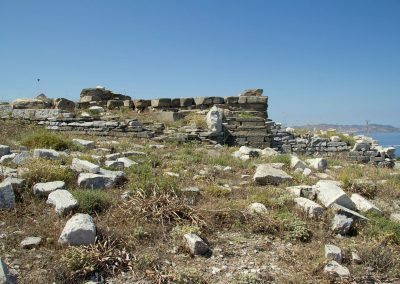 Statues found at various sites on Paros are on display in the National Archaeological Museum, Athens. Naoussa, one of the prettiest villages in the Cyclades, with whitewashed houses, narrow paved alleys, arches and tiny chapels, can also offer a range of excellent beaches and attracts many visitors each summer. 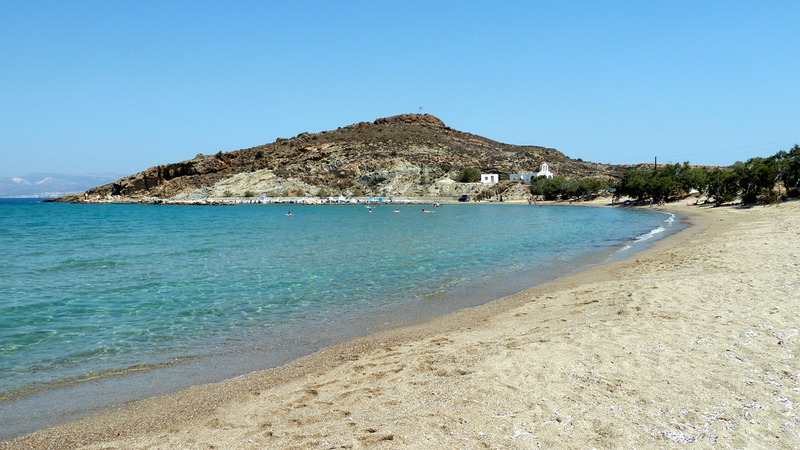 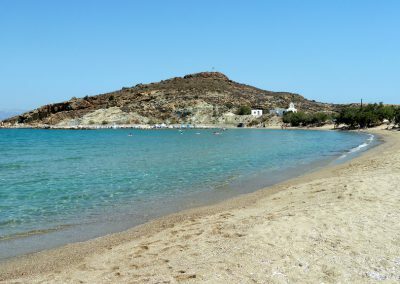 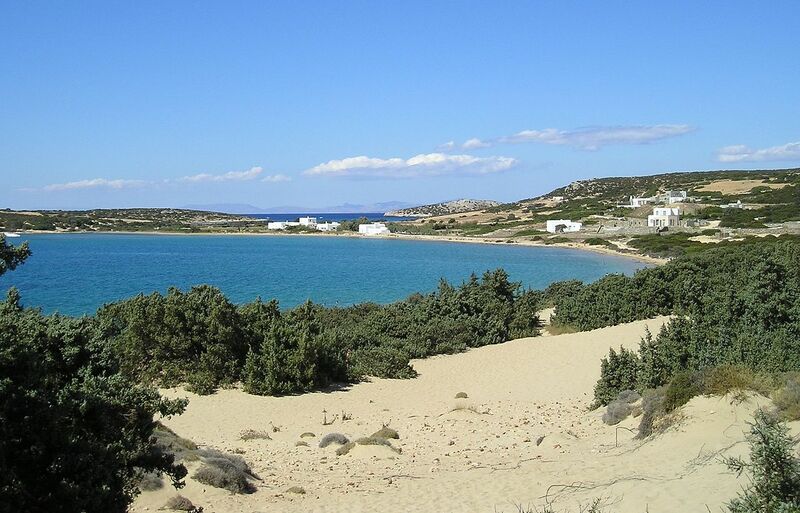 Among the beaches near Naoussa, special mention should be made of Kolimbithres, where huge rocks eroded into strange shapes remind the visitor of sculptures embedded in the sand. 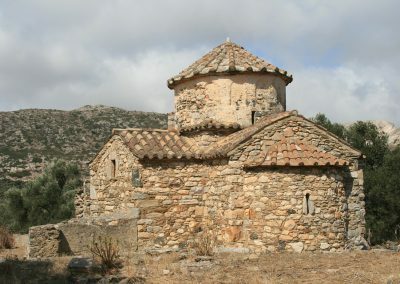 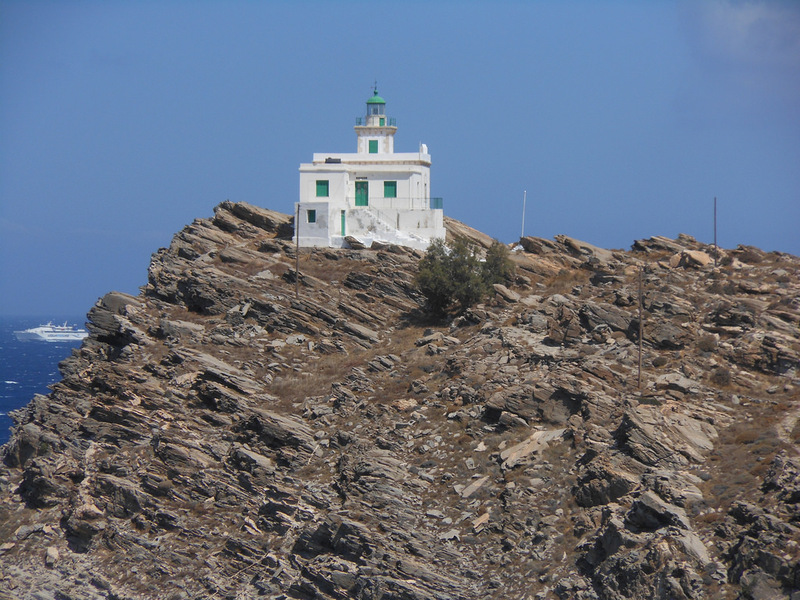 The chapels and monasteries of Paros are famed for their picturesqueness; among the most characteristic are the monastery of Zoodohos Pigi “Longovarda” and that of Christ of the Forest (Hristos tou Dassous). 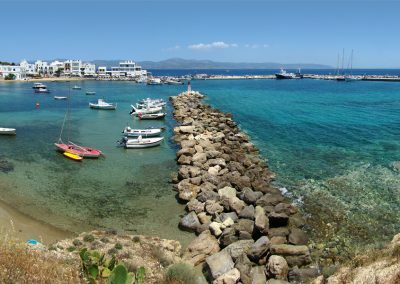 Marpissa is an attractive large village with a Venetian casde and beautiful churches. 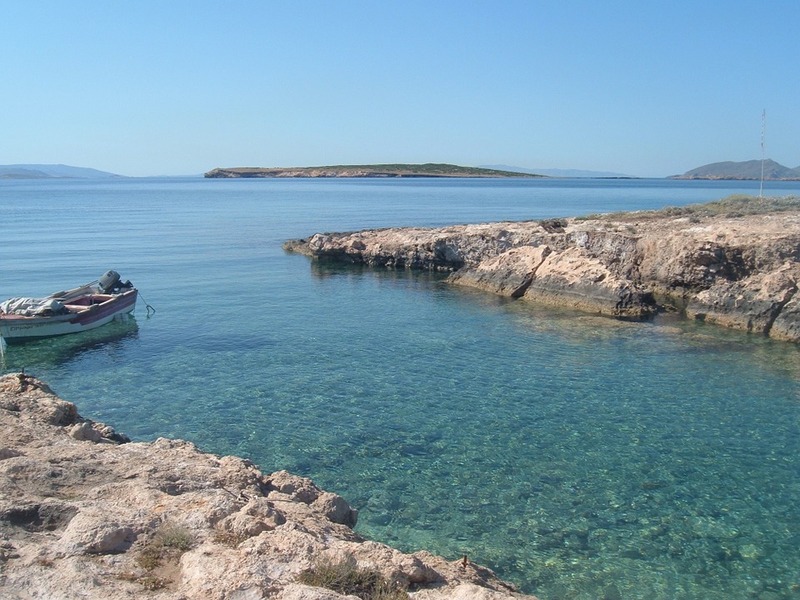 Among the best swimming beaches are Livadia, Krios, Aghios Fokas (at Parikia), Mikro Piperi and Megalo Piperi, Limnnes, Kolimbithres (at Naoussa), Aghii Anargiri, Langeri, Aliki (with an interesting exhibition of traditional crafts), Santa Maria, Ambelas, Pisso Livadi, and Drios (on the eastern side).